Police say 36-year-old Nikeila Lashandra Wilson used Craigslist to post pictures of rental properties in Siesta Key and Naples and collected money from two unsuspecting people. 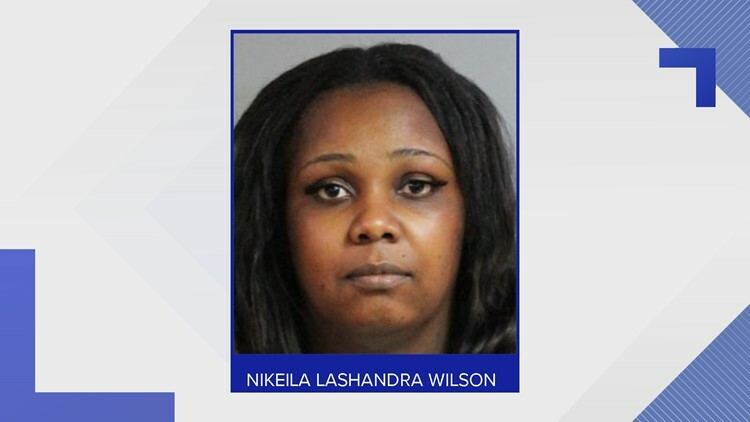 WINTER HAVEN, Fla. -- A Polk County woman faces two counts of grand theft after allegedly collecting money for two rental properties she doesn't own. The first victim, who lives in New York, first saw the Siesta Key rental property on VRBO.com in October 2017 but then saw it listed at a cheaper price on Craigslist. The victim contacted Wilson through the Craigslist email address and sent her a rental agreement and payment instructions of $3,500, according to Winter Haven police. After the check was cashed, the victim tried to contact Wilson several times and never got a response. The victim decided to contact VRBO.com and learned the property was still available for rent and law enforcement was contacted. A separate victim from Canada contacted Wilson about a rental property in Naples that she is accused of posting on Craigslist. The victim sent $1,675 to Wilson's address and wired an additional $300 to extend the rental period for five days. The victim arrived at the rental property on Jan. 28 to find someone else already renting the home and local authorities were contacted. Investigators came to Wilson's home and questioned her. She claimed her boyfriend told her to open a Chase bank account and said she thought the money was coming from him. She claimed she was not aware of the "rental property" notation on the check. She was arrested and booked into the Polk County Jail on Tuesday and charged with two counts of grand theft. She has since been released on a $1,000 bond.